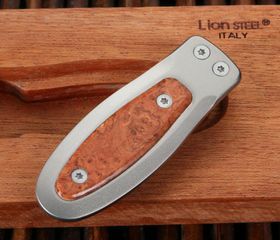 Made in Italy by a family with a long history of knife making, Lion Steel Knives are one of Italy's most advanced knife manufacturers. 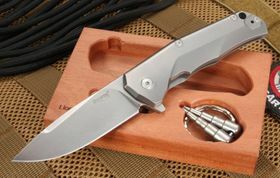 The company has had a philosophy of producing knives using the highest quality materials and world-class quality control since 1969. 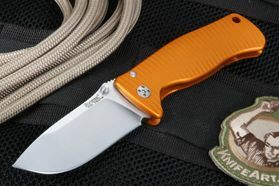 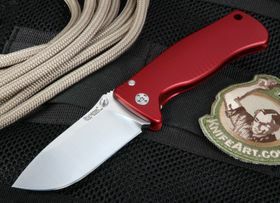 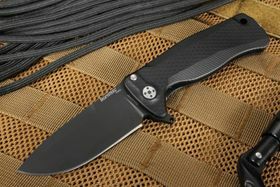 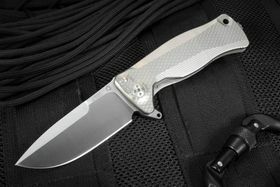 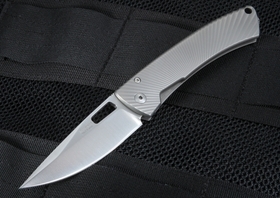 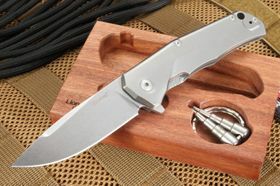 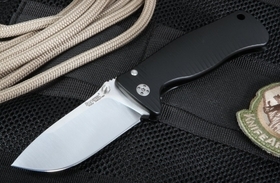 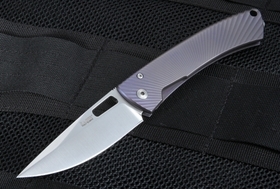 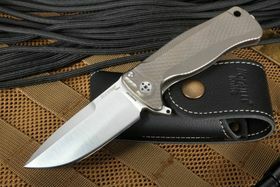 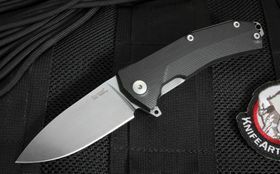 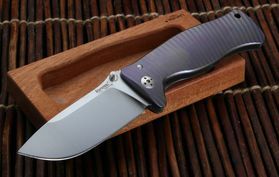 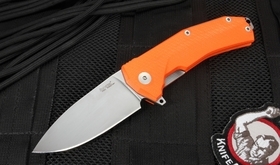 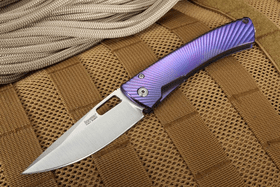 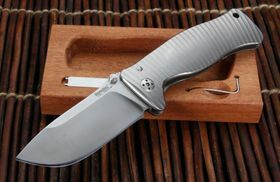 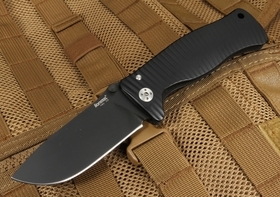 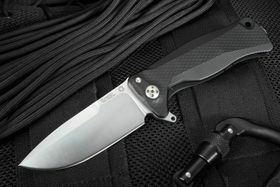 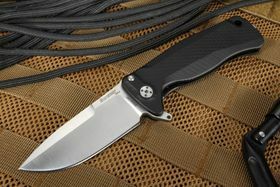 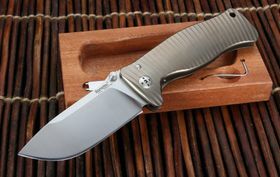 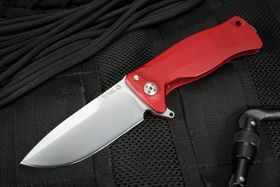 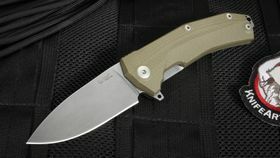 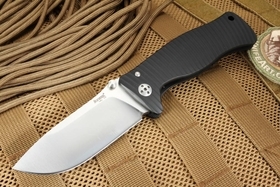 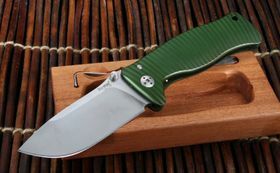 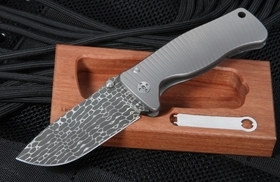 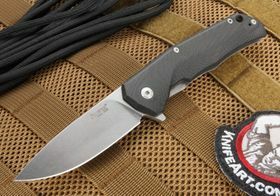 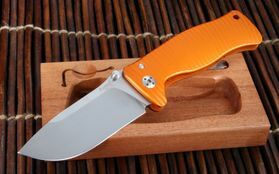 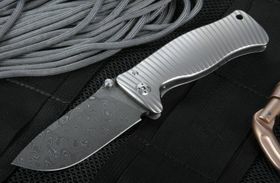 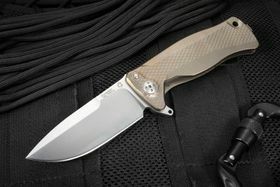 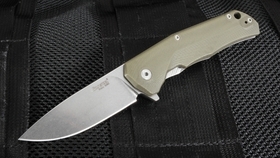 Lion Steel pioneered the first production folding knife to include a full integral titanium handle, the SR-1. 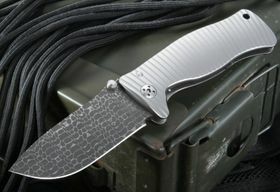 A Lion Steel knife was named "Overall Knife of the Year" at the prestigious Blade Show in Atlanta, Georgia three times, and the company has also won prizes for manufacturing quality. 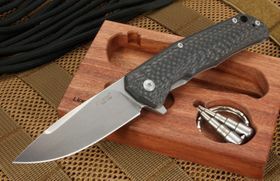 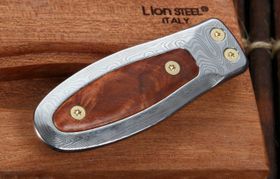 KnifeArt is an authorized LionSteel dealer and has all of the best Lion knives in stock. 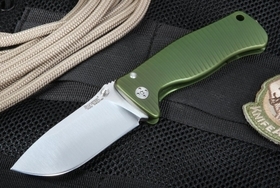 The SR1 has a 3.7-inch Uddeholm Sleipner Steel drop point blade with 60-61 RC hardness, a machined and anodized frame with a bar lock handle featuring reinforced stainless steel and a rotating safety lock. 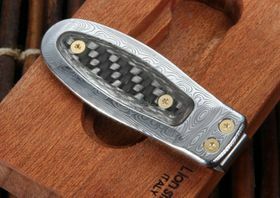 Dual thumb studs enable easy ambidextrous positioning and a thumb rest on the blade spine gives the user a truly secure grip. There's also a convenient pocket clip on this knife so it can be mounted on either side. 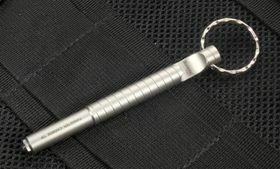 There's also a lanyard hole in the handle for neck carry. 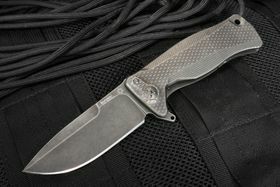 The LionSteel SR2 Raindrop Pattern Damascus Folding Knife is constructed with a single piece of titanium and a 3.125-inch stainless Raindrop Pattern Damascus blade hand-forged by Chad Nichols. 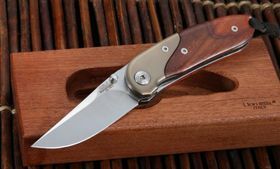 The SR2 has ambidextrous thumb studs on the blade, a removable pocket clip, a rotating safety lock and over-extension preventer, and it comes with an impressive, high-end wood presentation box. 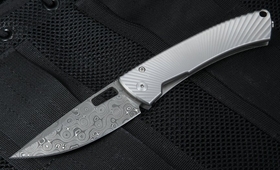 The LionSteel TiSpine Integral Titanium Folding Knife has a 3D fully machined and anodized handle made from a single billet of titanium and a 3.25-inch drop point blade made of stainless ELMAX steel with a solid frame-lock design. 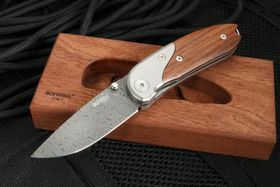 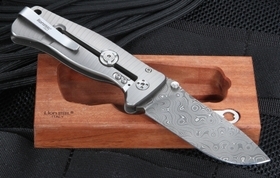 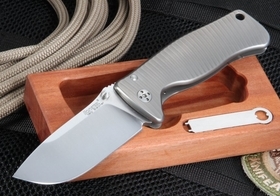 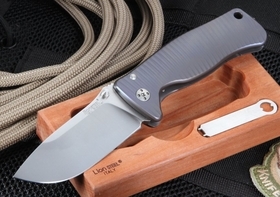 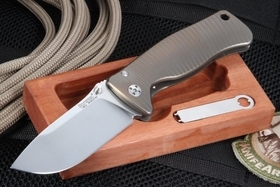 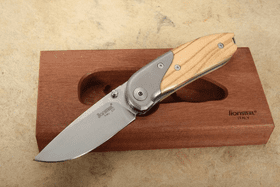 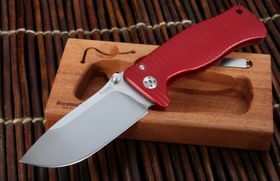 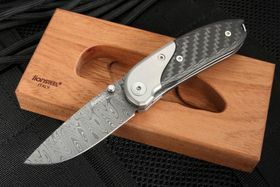 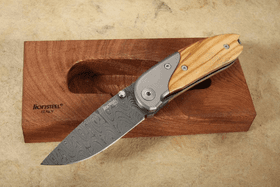 The LionSteel MINI Folding Knife sports a blade made of D2 steel with a length of 2 1/4 inches, dual thumb studs, a lanyard hole and a special wood presentation box. 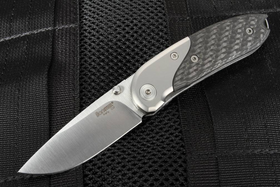 And who can forget the award-winning LionSteel TRE Titanium? The Three Rapid Exchange knife has both thumb studs and a flipper than can be removed. 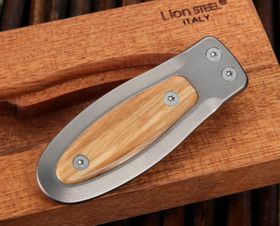 Our team is proud to carry the best Lion Steel knives. 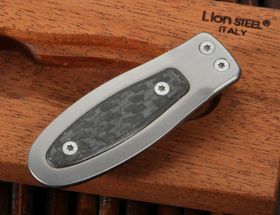 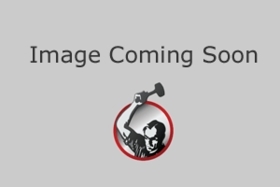 We also offer an assortment of LionSteel money clips for men who want their other accessories to match their knife in quality and sophistication. 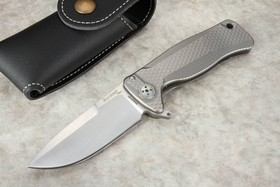 Qualifying orders ship fast and free everywhere in the U.S.!